The SUPER MC-12 was very much like the Super MC-11A. General Radiotelephone was sold to Skyhawk Antenna Company in 1972. 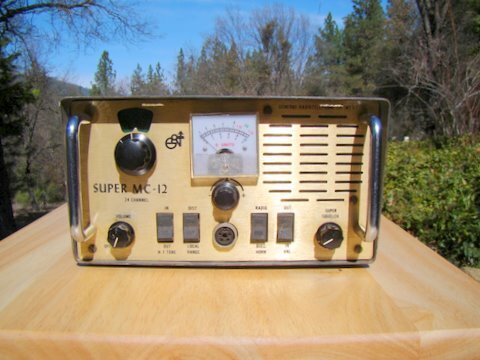 They upgraded the MC-12 with a much larger and powerful final audio tube. The MC-12 was not able to be type-accepted by the FCC. This was the last General Radiotelephone CB manufactured.